What adds the special effect to your house? The décor? Yes! However, will that décor feel lively if the best possible color combinations and designs that look wonderful are not used with it? No, right? Well, therefore, it is necessary that the color of your bedroom and your living room have particular influence with on your interior. 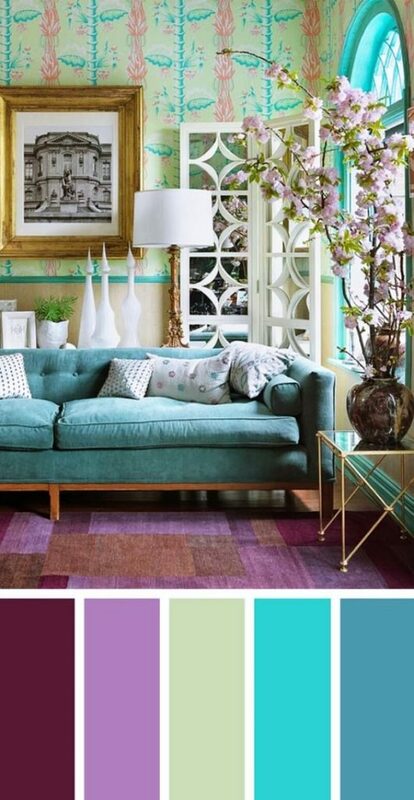 Moreover, these colors should also be calming to your mind and body as well as have trendy designs that look awesome! You can always have a master wall that has a different and unique color that makes it stand out. However, it should be suitable for the theme of your house. 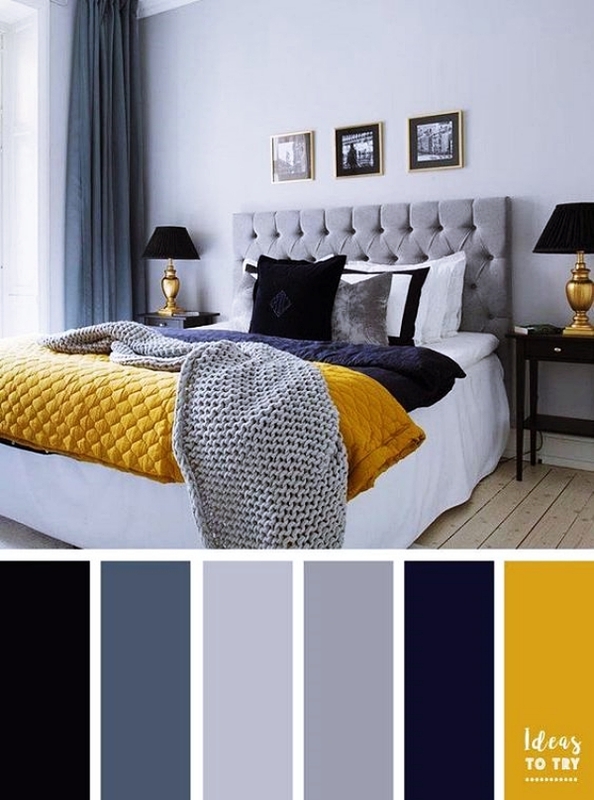 Are you confused about choosing the proper colors for your living room and your bedroom? Well, go through our guide of Creative Ways to Paint your Bedroom/Living Room Walls for a great idea on decorating your house. However, before we step into the article, here is the answer to your commonly asked question! What colors are soothing for a bedroom? These colors instantly calm down your mood because they are not too dark into your eyes. They regulate a proper amount of light in the room and thus you feel peaceful in it. What an idyllic sight it is to see a beautiful rainbow after a heavy pouring rain! Wouldn’t it be great if you could create something like that in your house? Well, a rainbow-themed or a multi-color wall is what you need. 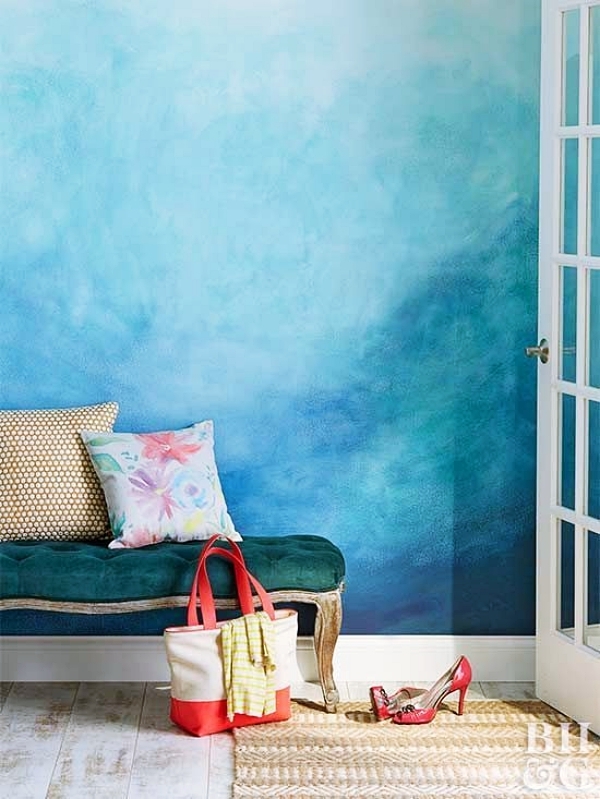 Pick up your transition shades that range from pink to blue and have your white wall painted in blocks of these colors. This wall painting technique goes well with white furniture. However, if you are looking for some cool decor ideas that do not cost you much, then you should dig in here. The modern-day houses demand to have abstract walls and geometry shapes enter the picture. 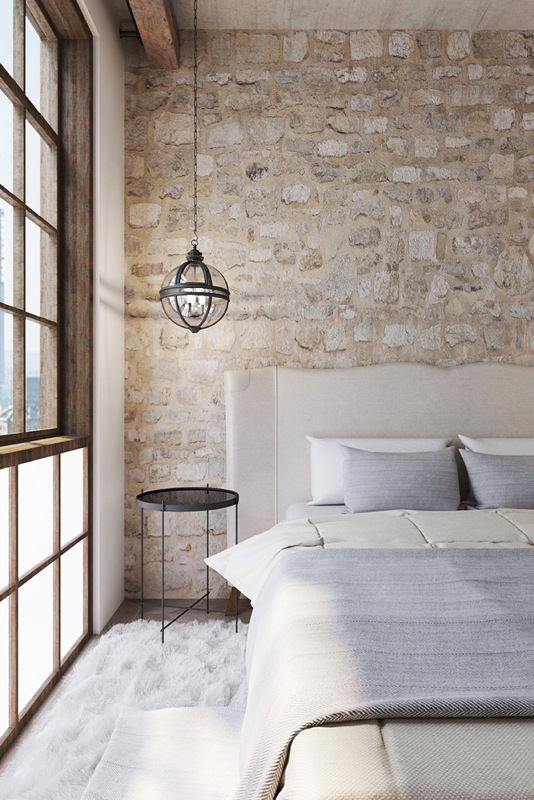 These Creative Ways to Paint your Bedroom/Living Room Walls give an elegant touch to your house as they simply add in that chic look to the theme. 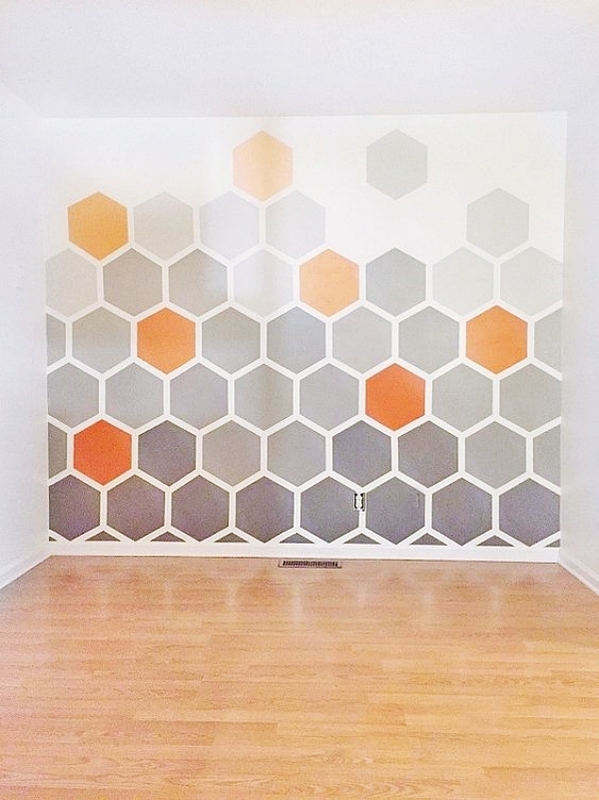 Opt for shapes like honeycomb or triangular showdown for the perfect wall. As for the interior, go with the shades of your wall’s color combination. However, do not forget about your balcony and have decor for it as well! Don’t know how to do it? well, we suggest you to get some ideas about it from here! Although it is not a complete painting technique, vinyl designs are easy and creative ways to enhance the chic look of your house. Moreover, you can then use many more ideas to decorate your wall in a tight budget. 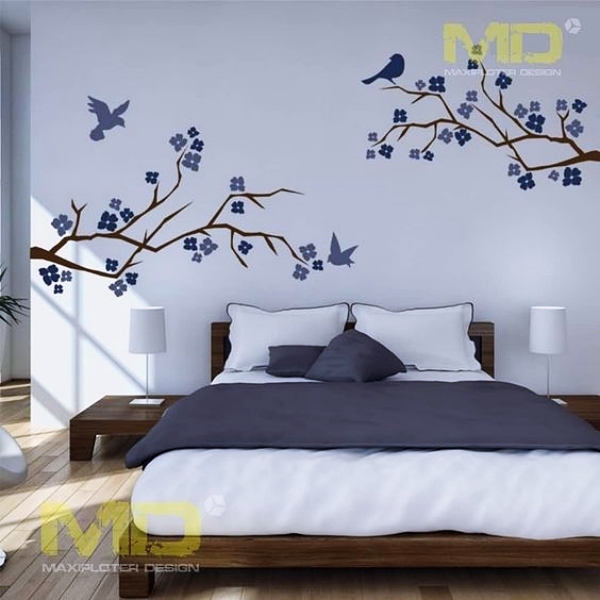 However, having a tree that ranges towards your bed from the corner of a wall or having some vinyl birds and tree design in your living room instantly refreshes your mood. Opt for fresh colors like mustard or deep blue for these designs. Seeing the sunrise or the sunset, you must have thought that how great nature’s creations are! However, did you ever think of picking up your themes form it? 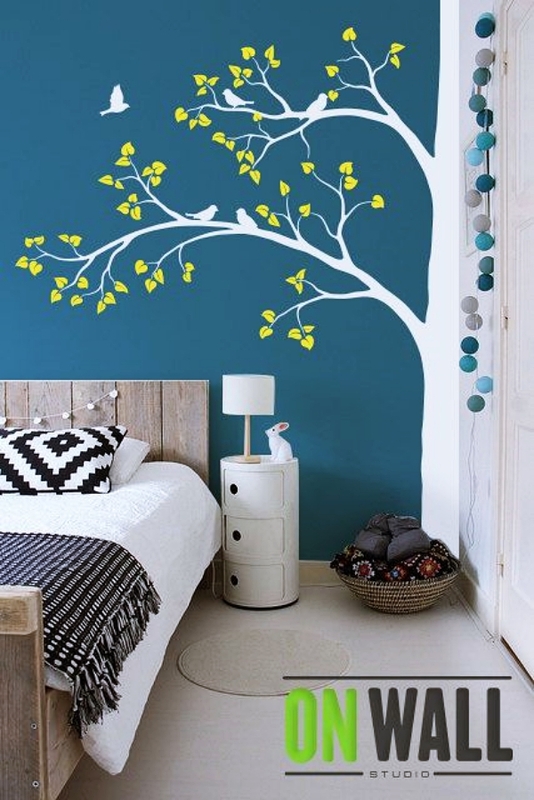 If not then this is one the Creative Ways to Paint your Bedroom/Living Room Walls that will help you to do so. Pick up two color combos, which complement each other. Then have a textured roller or sponge to shade in and out the complete painting. Have a margin where the transition is visible as it is a crucial aspect of this idea. Well, when it comes to margins, why don’t you have a look at some bamboo fencing ideas as well? As we said earlier, the blue color has a cooling effect in your eyes and therefore is one of the best colors to have in a room where you want to have a soothing feeling. 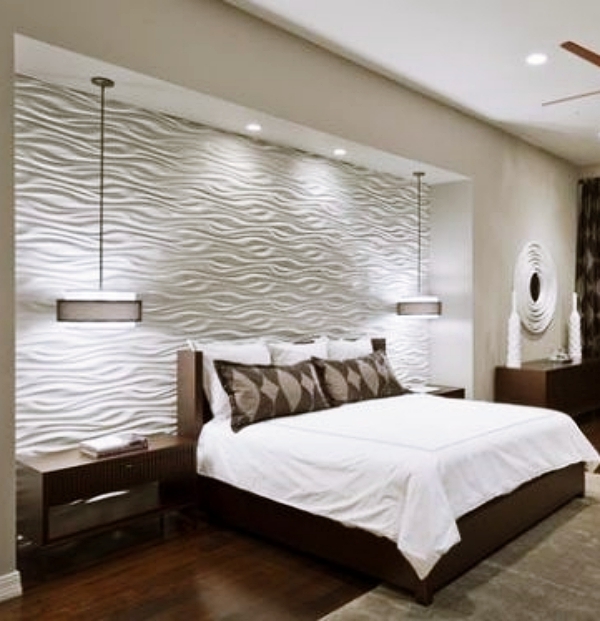 While having the texture of this wall, opt for something that has sharp texture feeling. For example, a hard-toothed brush will give rough lines that will make the texture livelier. Now, this is a tricky painting idea but it looks so classy that you cannot deny having it. 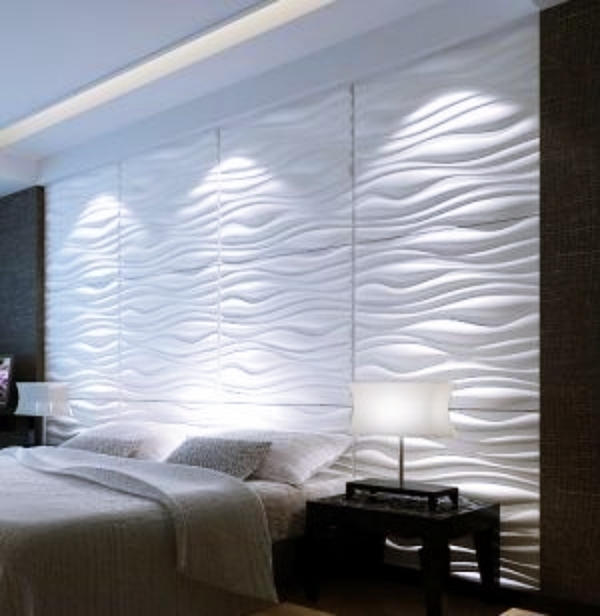 You need to have embossed design made out of plaster of Paris attached to the wall. Then have it painted so that it gives a glow and reflects light. You can simply choose white color for this or experiment with colors like teal, pink, green, grey or blue. If you wish to have a peaceful spot in you room, have a temple in there. 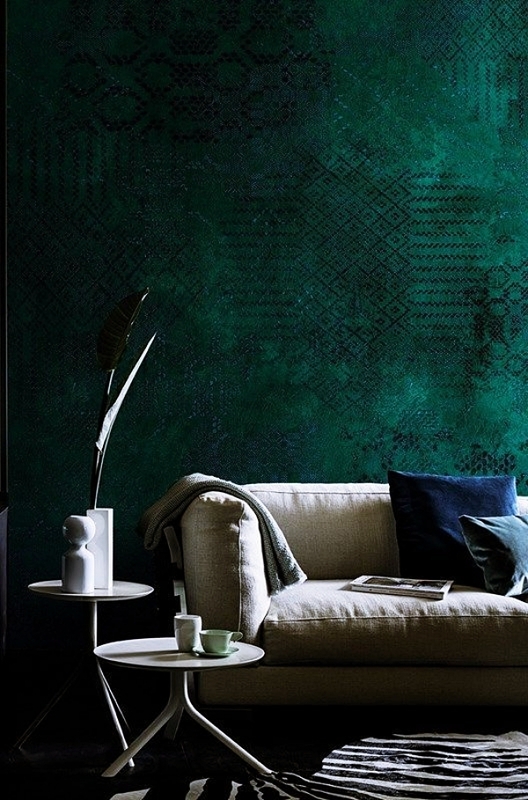 Do you want to have a classy wall for your rustic or ethnic themed house? Well then, the stonewall is the best one for you. 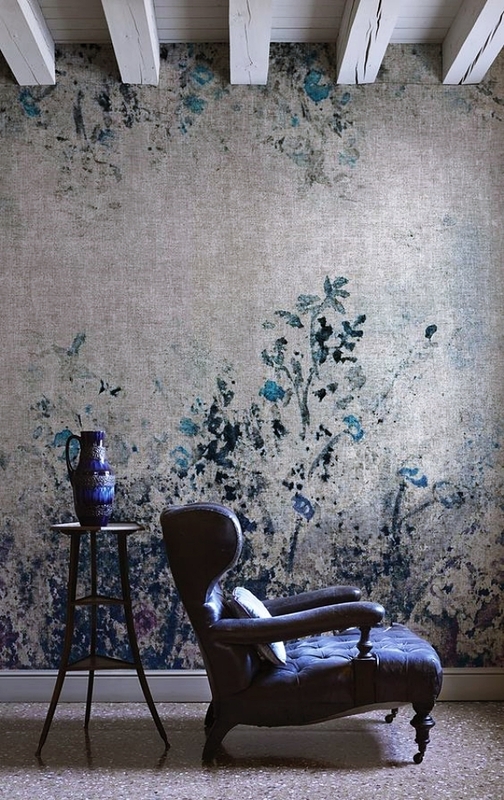 You can have this wall painted or simply have a wallpaper for this. Choose the interior in a full wooden theme so that it complements the complete theme! 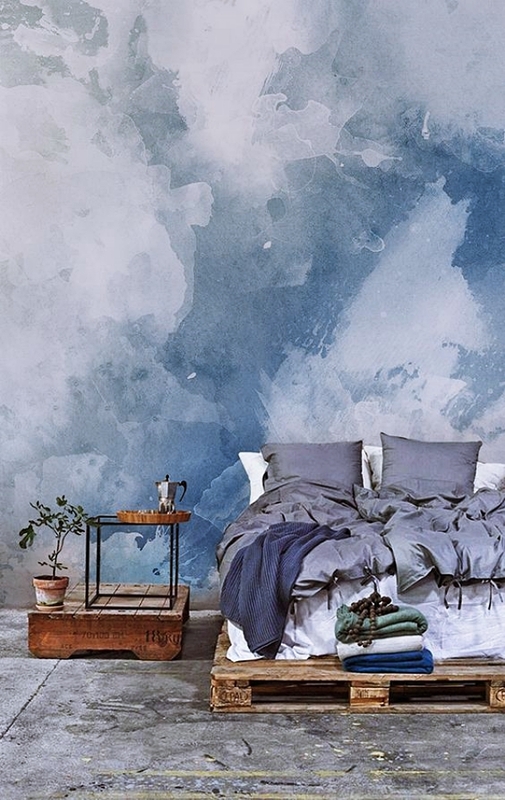 You surely must have had a sense of how to have textured walls and create your own Creative Ways to Paint your Bedroom/Living Room Walls. However, one thing that causes confusion is what color schemes should you choose? Well, we have answers for that as well! If you wish to have a bubbly and vibrant bedroom or living room, then colors such as teal, blue, purple are a great choice. You can also have a cyan color in combination with it. 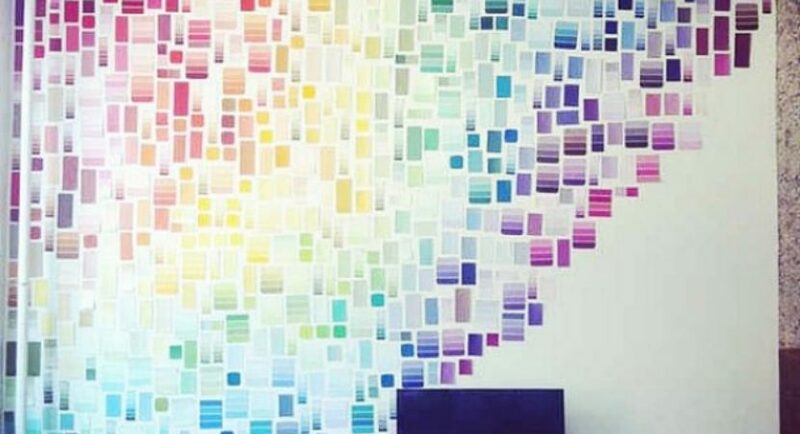 Now it is not necessary that you choose all these colors for the wall itself! The scheme provides you an idea of what the overall combination of your interior should look like and you can also have your flooring ideas from it. The orange color is one of the best colors for modern and contemporary theme houses. However, when you think of how you can have a combination of it so that your living room and the bedroom look classy, then this color scheme is totally going to help you. You can have the latest trends of ceiling designs with this color combo as well. 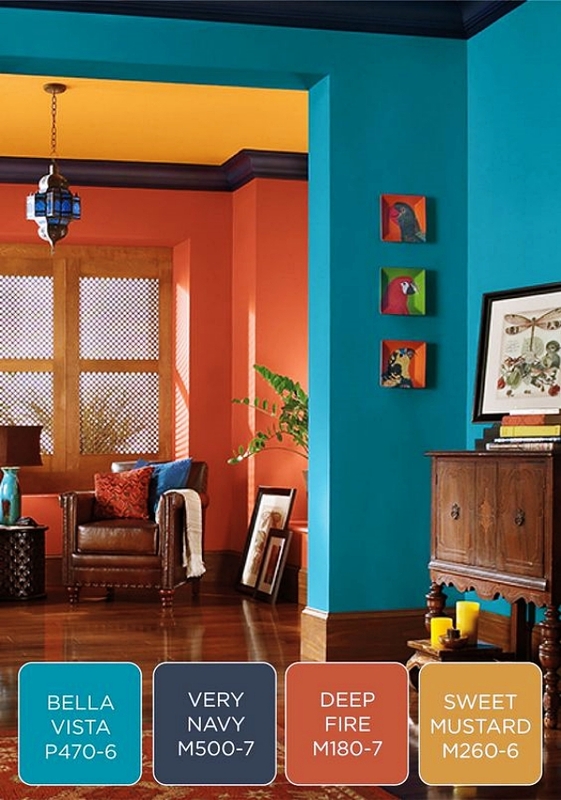 The best color that would suit with orange is a deep blue shade along with mustard color. Get inspired with these Creative Ways to Paint your Bedroom/Living Room Walls for a complete makeover! Neither funk nor bubbly suits you? Then go for a color scheme that is all pastel! You can then have your interior designed in a Scandinavian style. Opt for pastel pinks and blues or even greys look great for a matter of fact. Choose the vibrant colors for your walls and the light ones for the accessories in your room. You can have blue pillows with mustard and blue blankets when you have grey colors as your wall paint. What colors make a small living room look bigger? Hang mirrors and photo frames on appropriate places or have some things to do with empty frame ideas from our articl here. 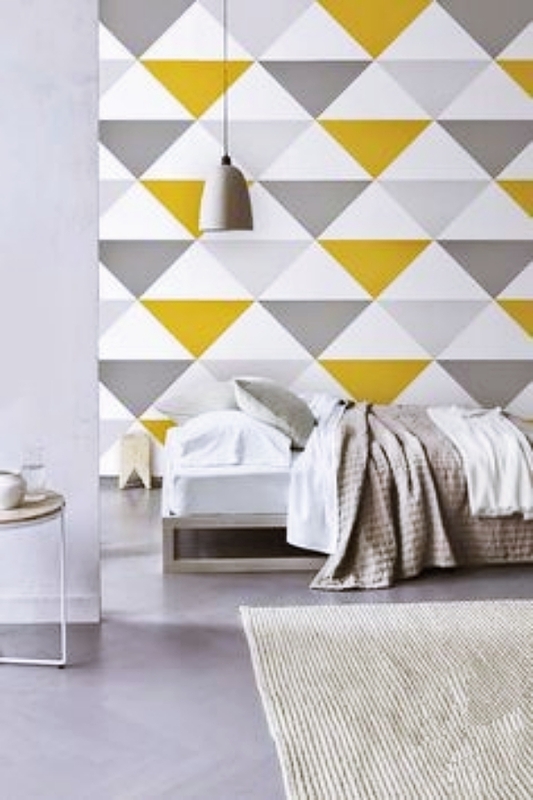 Did you like our ideas of Creative Ways to Paint your Bedroom/Living Room Walls? We hope you are inspired by them and now are ready to get your rooms painted. Remember, your house needs to be painted every 4 years at least. So choose your colors wisely so that you have the theme, your mind, the interior, and your family’s mood all simulated with the right color combos. We also have some amazing productive ideas that you can use to divide the large spaces at your home to use efficiently.